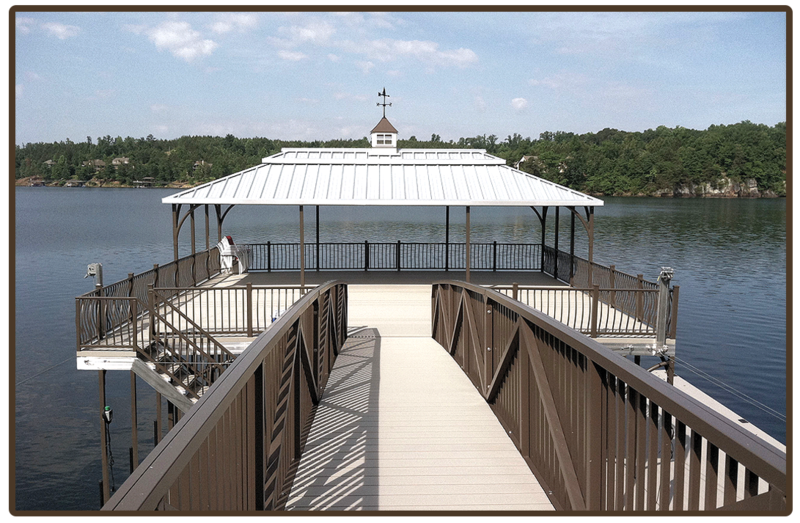 Silver Ridge designer color series boat docks. Subtle hues. The sun is almost up, and a light mist dances over the water. Coffee in hand, you sit in the silence and enjoy the last minutes of dawn. There’s nothing to do today but relax. distinct yet easygoing, and always at ease in its natural setting. Silver Ridge designer color series boat docks are available in any of the boat docks styles we offer, and feature Galvalume roofing, burnished slate railings, and granite gray decking. Contact your dealer or Flotation Systems directly for more information on ordering your new designer boat dock.